This is a nice little addition to Squamish. 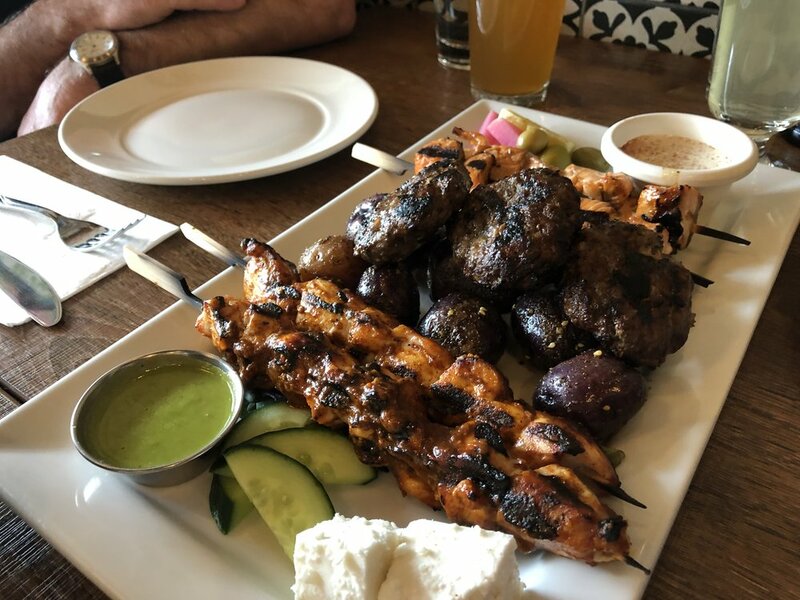 My love for Middle Eastern food has grown exponentially in the past 12 months with awesome places like Jamjar, The Afghan Horseman, Chickpea, and the list goes on for Vancouver. So when I heard that Saha Eatery opened in Squamish, it was a no brainer to try and see how it stacks up. We ordered the quinoa Royale salad and the Meshwi sample platter for 3 people. The quinoa salad is perhaps the best quinoa salad i’ve had in a very long time. The only closest one would be at Tractor in Vancouver. Why? 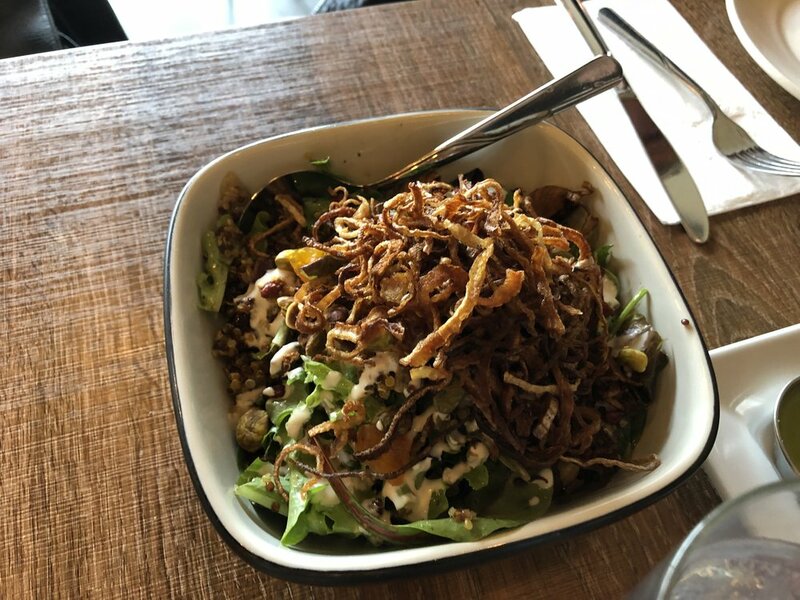 because it contains the following: RED & WHITE QUINOA, CARAMELIZED ONIONS, DATES GARNISHED WITH PISTACHIOS, BARBERRIES, DRIED APRICOTS & FIGS ON MIXED GREENS WITH ROASTED SHALLOT POMEGRANATE DRESSING. The dressing is just perfect and brings a nice spring lightness to it. If you live in Squamish or driving by, want something healthier, come give Saha Eatery a try. Their wraps and bowls also look very good if you don’t want to spend too much for lunch.